Autism Resources | Autism Resource Center | Dealing With Autism - Normal Life, Inc. Many of the autism resources available to parents and families focus on the trials that are associated with raising a developmentally delayed or autistic child. 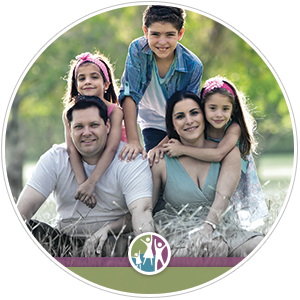 Normal Life, Inc. offers a different autism resource center in the fact that we will direct our attention towards finding solutions and results for raising an autistic or developmentally delayed child. Dealing with autism is not something that you have to do on your own anymore. Our goal is to make your home safe and accommodating for every member of your family, and to adapt your family dynamic to allow everybody to live a simple, fulfilling, and Normal Life. To that end, we are continually developing resources to help your family. Watch our videos to get ideas and strategies for dealing with specific behaviors or issues in your home. We believe that visual learning is a powerful tool to help parents and families. Watch real people dealing with real problems. Never feel like you are alone. Smartphone and tablet apps have tremendous potential for helping to train your autistic child for daily living skills. We are currently researching and developing apps for this purpose. Our blog will help you stay up-to-date on a wide variety of issues related to raising children with special needs. Be sure to check back for regular additions! If you talk, people will listen; speeches are a great way to promote awareness in the autism community. You may never truly know what it’s like to have autism, but by advocating for greater understanding and compassion, we can better serve those that do have to live with it. Keep an eye out for our upcoming Normal Life book, which will be an invaluable resource for people with special needs children in their home. There are hundreds of books out there pertaining to special needs parents’ personal journeys; what sets this book apart is that it focuses on problem solving and solutions that actually work.